The short answer is no, as the lock is entirely Bluetooth. Like most HomeKit smart locks, however, if you wish to check the status of the lock and remote control it from away from home, you'll need an Apple TV, iPad (plugged into power) or the upcoming HomePod. These devices can pass the data back and forth between Bluetooth HomeKit devices and your Wi-Fi network, and ultimately over the 'net to your iOS device. The short answer is...yes! For a more detailed explanation, take a look at the video. Been loving your videos. Very informative. I'm remodeling my home and planning on setting up home automation through HomeKit. New thermostat. Haiku fans (when they support HomeKit). Smart lock and lighting. My biggest question is controlling lighting through the app as well as through traditional means. I have a hanging light in the dining room that has two switches connected to it. Is there a way to replace the switch so I can turn it on and off from either switch as well as control it remotely with HomeKit? Including dimming? The only thing I've found that comes close is the Plum or Leviton DH1KD-1BZ. Any insight would be helpful. I'm sure in a few months I'll need to set up a home video consultation to finalize my automation plans. Answer: The Leviton Decora Smart, Lutron Caseta and iDevices Dimmer Switch will all let you control and dim a light from multiple locations. The Lutron solution for the "slave" dimmers is a wireless solution, while the Leviton and iDevices make use of wired "companion" dimmers. 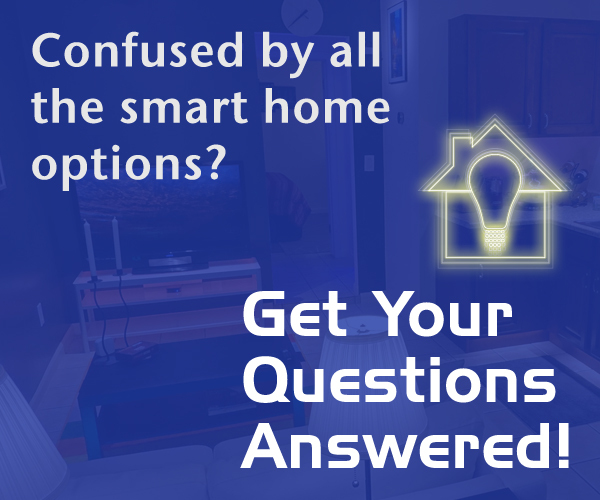 While Smarter Home Life can't offer electrical how-to advice, there's a good explanation of the answer to this question in the video. And check out our newly updated HomeKit Product Guide for all the in-wall dimmer options.